My auntie, Mdm Wee Soon Pheng is missing. She is 59 years old and has dementia. She is wearing a bright pink Pink Ribbon Walk Dri-Fit shirt and black pants. She does not have any money on her; only 2 blue paper bags containing some bread and water before she went missing. 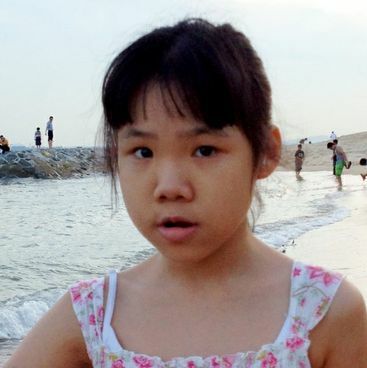 Mdm Wee was last seen at Gardens by the Bay on Sat, 1 Sep 2012 at 2030 hrs. Her family realised that she was missing while waiting for the returning shuttle bus to arrive at the coach bay. At the time that she went missing, the People’s Association/RC happened to be at the same place with some excursion groups to visit Gardens by the Bay. My auntie is suspected to have mistakenly boarded one of the shuttle buses that the People’s Association/RC arranged to bring their own excursion groups home. It is unclear if this is actually how she went missing, but this is a potential lead for us in finding where she might have ended up. If you have seen her recently, or might know her whereabouts, please contact Eileen at 9761 0639 or the police directly. Prominent Singapore blogger Lee Kin Mun, better known as ‘Mr Brown’ just lost his daughter Faith at Dhoby Ghaut MRT station minutes ago. We would like to state categorically that we are not anti-establishment or against the government. Neither are we the mouthpieces of any political parties like some other media outlets. Articles are selected and published here based solely on their ability to generate hits. Our bloggers are always in tune with the prevailing sentiments on the ground to seek to reflect them here in an interesting, humorous and satirical manner. This means that when public attention is on the Hougang by-election now, we will follow the crowd and publish articles related to it instead of some irrelevant stuff like fighting for the release of a Malaysian prisoner on death row. Our editorial stance and thrust have always been to generate hits and views. For those who knows how the internet works, the more readers one has, the more influence one will be able to exert. A socio-political blog with only a few hundred readers a day is utterly irrelevant regardless of what fancy titles its ‘consultant editors’ and ‘editors-in-chief’ may give themselves. Lastly, we are not related to any other sites or Facebook pages bearing the name ‘Temasek’, but we cannot stop other Facebook pages from sharing our articles. We have only one official Facebook page here. 52 year old Singaporean cabby Mr Cheng Teck Hock (秦德福) was killed in a fatal traffic accident on Saturday morning caused by a reckless PRC driver Ma Chi. Mr Cheng suffered from massive bleeding in his brain, lungs and liver and was declared brain dead in Tan Tock Seng Hospital. He passed away at 7.07pm yesterday evening. Mr Cheng has been working as a taxi driver for more than ten years and is the sole breadwinner of the family and leaves behind three children between the age of 16 and 21. He did not buy any insurance for himself and his family as he was unable to afford the premiums. His eldest daughter just graduated from a local polytechnic and has to put her plans to study in a university on hold because of her father’s unfortunate demise. His two younger sons are taking their ‘O’ and ‘A’ levels this year. We have received a message from a friend of Mr Cheng Dao Han, a son of Mr Cheng that his wake will be held 13 to 17 May 2012. We have more than 20,000 unique readers daily and we urge everybody to share and spread this article with everybody you know. “The funeral will be held under Blk 306 Canberra road, 13-17 May 2012. Public is advised to come from 14 May 2012 onwards. Please accept my gratitude for your support and assistance to my family during this difficult times. To family of Mr Cheng Teck Hock, if you are reading this, please contact us immediately at temasektimes@yahoo.com, providing us with some information to verify your identity and a bank account number to collect donations. Many of our readers have emailed us offering their assistance and they are not able to attend Mr Cheng’s wake in person. The Temasek Times is the 47th most visited site in Singapore and we will be able to help you reach out to a large number of Singaporeans. In the last two days, we have received numerous emails from netizens regarding on how they can assist the family of the late Mr Chandra Mogan. 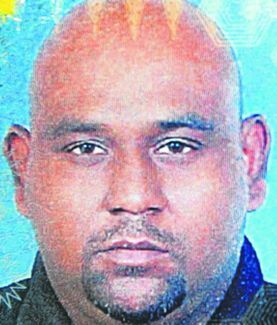 Mr Mogan died in the Saturday morning accident at the Budget Terminal, where he worked as a cleaner after a hijacked taxi driven by a PRC man crashed into the driveway. Cheques should reach CAG no later than Friday, 30 March 2012. You may wish to indicate your name at the back of the cheque. Mr Mogan leaves behind his mother, his wife and four children (aged 9, 7 and 5 years and 2.5 months). We extend our condolences to Mr Mogan’s family. 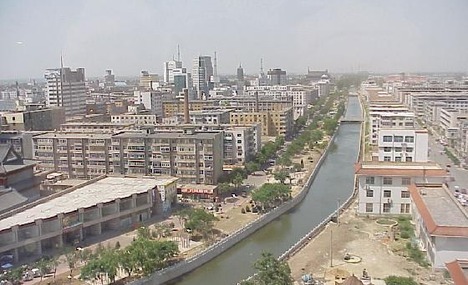 Xin Ping (not her real name) was born to a small humble family in the industrial city of Liaoyang (辽阳) (picture left) in Liaoning province of China. Her parents were civil servants and they lived in a small cramped apartment on the outskirts of the city. Xin Ping might have followed the footsteps of her parents if not for one fateful day – a friend persuaded her to accompany her to attend a seminar conducted by MOE officials from Singapore in the provincial capital of Shenyang (沈阳). After passing a pre-admission test and two rounds of interview, Xin Ping was on the plane to Singapore after being awarded an undergraduate scholarship to study Chemical Engineering at the National University of Singapore. To her surprise, a fellow classmate who topped her class was not given an ‘exit permit’ to leave China despite being given the same scholarship. Life was tough in the beginning for Xin Ping, exacerbated by the fact that it was the first time she went abroad alone and separated from her parents. She spoke little English as she started to learn the language only in middle school. She was put up with other scholars from the same batch with a foster family in Sembawang before the school term began. Though Xin Ping was handicapped by her English proficiency, she did well enough to breeze through her four years in NUS and graduated with First Class Honors. She did not have to pay for her tuition fees and was given a generous living allowance. Upon graduation, she found a well-paying job with a MNC in the petrochemical industry. While Xin Ping has spent nearly ten years of her life in Singapore, she did not feel a sense of belonging here though she readily admits that Singaporeans are one of the most ‘friendly’ people she ever met. 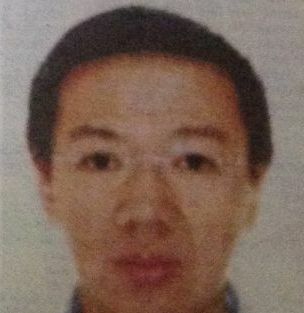 Upon completion of her bond, Xin Ping applied to be transferred to Beijing to be closer to her family. Two years later, she left to start her own company and is now a mother of two. Yes, she said, especially the cuisine and her Singapore friends with whom she still keeps in touch on Facebook where she learnt about the Sun Xu saga and contacted us. Senior Parliamentary Secretary, Ministry of Education & Ministry of Law Ms Sim Ann revealed recently in Parliament that the Singapore government spends some $36 million dollars on scholarships to over two thousand foreign students each year, or about S$174,000 per scholar. The percentage of foreign scholars who leaves Singapore for good yearly like Xin Ping is not known. This exclusive article is written by one of our external writers who wishes to remain anonymous. No part of it, with the exception of a link to this page, can be reproduced without prior permission from the author. Please contact us at temasektimes@yahoo.com if you wish to republish this article for your personal use. The Workers’ Party has expelled Yaw Shin Leong from the party with immediate effect. WP believes strongly in transparency and accountability, and expects no less from our party members, especially our Members of Parliament. Shin Leong has been accused of several indiscretions in his private life. By continuing not to account to the Party and the people, especially the residents of Hougang, he has broken the faith, trust and expectations of the Party and People. This is a difficult and painful decision for us. Shin Leong has been a core member of the Party leadership for more than 10 years, and has made significant and unique contributions towards WP’s growth. He has also served the residents of Hougang diligently. However, the Council has decided that it is in the public interest to take this step. We also believe it is only fair to the Hougang residents that they have another opportunity to elect their Member of Parliament. We apologise for having to put them through a by-election. We wish to assure Hougang residents that they will continue to be served by the Party until the by-election is called. The Meet the People sessions in Hougang will continue, with the other MPs covering. Residents are free to contact any WP MP for assistance. In addition, town council services will continue to be provided under the Aljunied-Hougang Town Council. Finally, we wish to thank the public for their concern towards the Party and for walking with us through this difficult period.